Beverage Backer:Reverse side of this guest check is lined for beverage orders. The G4774SP medium wide single copy cardboard guest checks from National Checking Company are heavier weight and more durable than similar medium paper guest checks. The G4774SP restaurant guest checks are perfect for environments where checks are handled multiple times by servers, cooks and other staff. Reverse side is lined for beverage orders and menu prompts encourage up-selling of your full menu. The G4774SP comes shrink wrap packed in cases of 2,500 restaurant guest checks and are printed on a stiff paper. 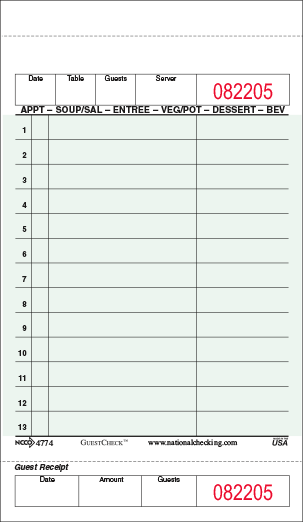 Need a guest check holder for the G4774SP restaurant guest checks? 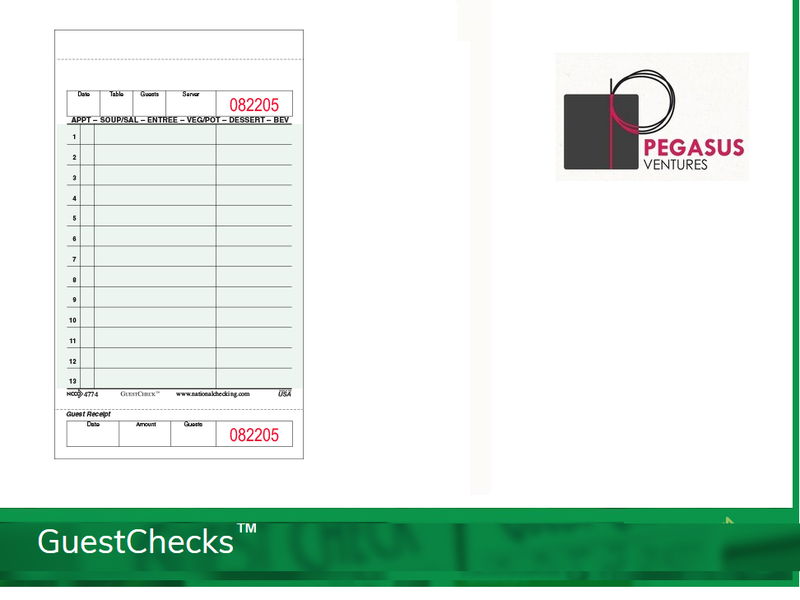 The AL-400 fits great with these restaurant guest checks from National Checking Company, see it below as a related product! As with the entire line of restaurant guest checks sold by Pegasus Ventures, orders received by noon Eastern ship the same day. All other orders ship the next business day. 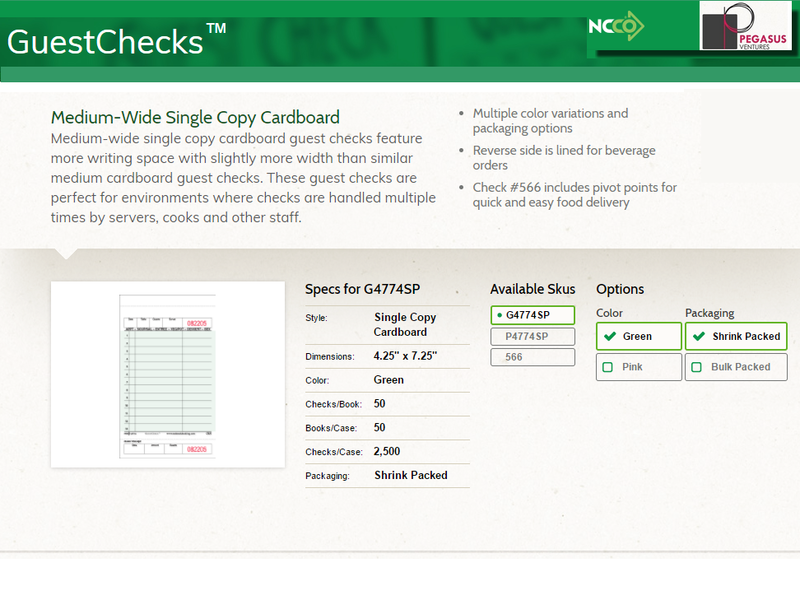 The National Checking G4774SP restaurant guest checks are always in stock and ready to ship to your restaurant, catering business or institutional kitchen!